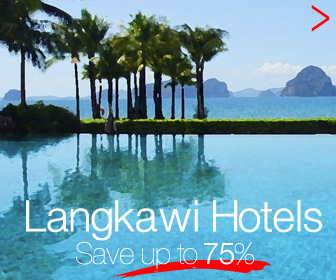 Langkawi Malaysia Great Hotels Booking | Book and Save now! The beautiful island of Langkawi belongs to an archipelago of 99 islands off the west coast of Malaysia. Known for its perfect beaches and relaxed atmosphere, Langkawi is an official UNESCO World Geopark location and houses a diverse range of flora and fauna. Langkawi Airport is around 25 minutes’ drive from Kuah city center and is the point of entry for most tourists. Langkawi enjoys a tax-free status. Pantai Cenang, Pantai Kok and Pantai Tengah are some of the very popular beaches on the island, situated close to shops and restaurants. Pantai Cenang is a good spot to rent a motorcycle – perhaps the best way to see the island as there’s no public transport. The Langkawi Cable Car is a popular tourist attraction, taking visitors up to the top of Gunung Mat Chinchang for amazing views. At the peak is the Langkawi Sky Bridge – a suspension bridge for the exclusive use of pedestrians. The bridge is 700 meters above sea level and features observation decks for 360-degree views of the island. Diving near Langkawi happens mostly at Pulau Payar Marine Park – halfway between Penang and the Langkawi archipelago. Since it’s an area of conservation, it’s rich in marine life, featuring both artificial and natural reefs. Looking for great hotels discount deals? 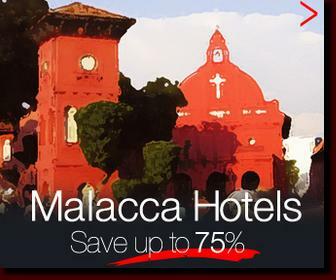 Looking for great Malacca hotels booking?